BlizzCon In-Game Goodies: D.Va Announcer and Portrait! Blizzard Entertainment will give a unique D.va clan logo portrait and 12 D.va announcer audio files to BlizzCon attendees and Virtual Ticket viewers. The audio files will be available for purchase at the BlizzCon Shop soon, but the clan logo portrait will be available in Patch 3.7. 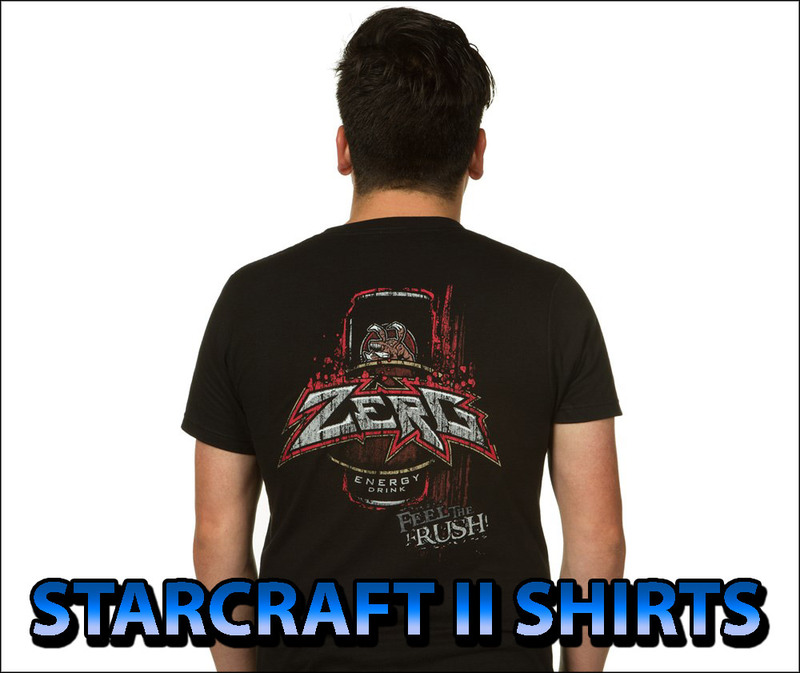 D.Va is coming to StarCraft II! We’re excited to reveal that the cache of StarCraft II’s in-game goodies, available for BlizzCon attendees and Virtual Ticket holders, will consist of a new D.Va announcer and portrait! In the coming weeks, D.Va will join the cast of six other announcers we released with Patch 3.7—and she’s the first announcer whose origins lie outside the realm of StarCraft II lore! Although D.Va is known most recently for her activities within the Overwatch organization, her journey began in the StarCraft esports scene, where she became the #1 ranked player in the world at the age of 16. Her StarCraft experience makes her uniquely qualified to support you in-game! As of Patch 3.7, portraits can now be shown in-game in place of a clan logo at your town hall, so there will be no shortage of ways to take advantage of these StarCraft II rewards. Everyone who attends BlizzCon 2016 or purchases a Virtual Ticket will unlock the D.Va announcer and her portrait! Check out our preview of some of her announcer lines below. The D.Va announcer will be available for purchase at a later date, but her portrait is exclusively available to BlizzCon attendees and those watching from home via the Virtual Ticket. We’ll have more BlizzCon info coming soon, so stay tuned here and on our social channels on Facebook and Twitter! This is a transcript of the StarCraft II: Legacy of the Void Overview panel held at BlizzCon 2014. Among the panelists were: James Waugh (Director of Story development), Allen Dilling (Lead 3D artist), Jason Huck (Lead level designer), Justin Thavirat (Lead 3D artist) and Matt Morris (Lead campaign designer). Waugh: Welcome everybody to the Legacy of the Void Campaign Panel. We hope to answer all your burning questions about the end development final chapter of the StarCraft II trilogy. My name is James Waugh, I’m the lead writer; I’m joined on stage by Jason Huck (lead level designer), Allen Dilling (lead artist), Justin Thavirat (lead artist) and Matthew Morris (lead campaign designer); each of whom will talk about how their discipline helped craft the game. 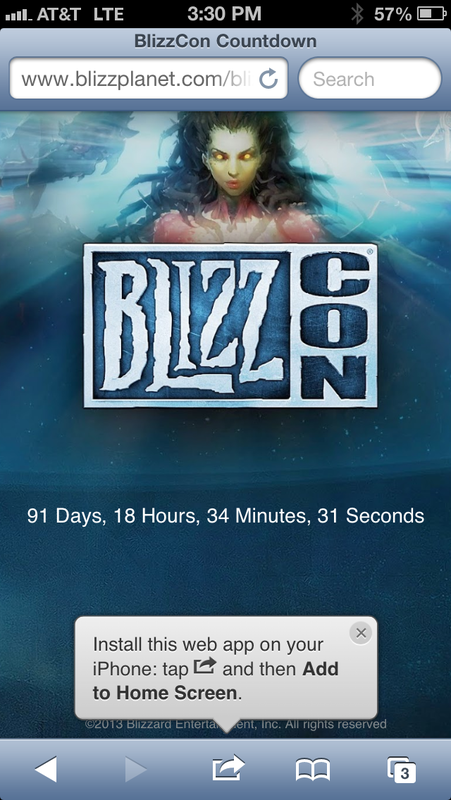 Blizzplanet is proud to announce its very own BlizzCon countdown web application for your mobile device. This is designed to be used on your iOS or Android mobile phone. Follow these steps on your phone and get excited for BlizzCon! 1. Browse to http://www.blizzplanet.com/blizzconcountdown/ or http://is.gd/blizzcon if you want a shorter URL to type in. 2.If you are on iOS a button should popup with instructions. If it doesn’t, tap the Arrow button on the bottom bar of Safari. 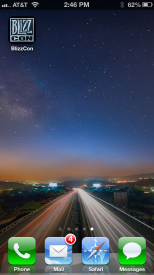 If you are on Android it varies from device to device but look for an Add Bookmark to Home screen option. 4. Choose a Name and hit Add. 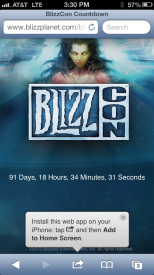 You will now have a nice BlizzCon icon on your phone’s home screen. 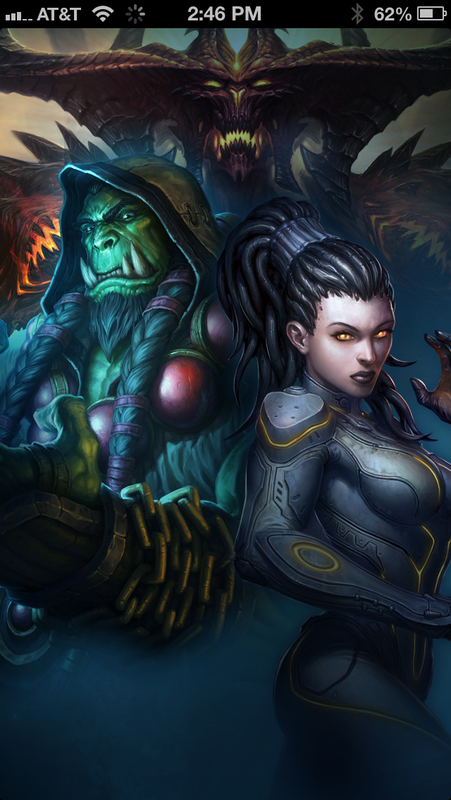 Blizzard Entertainment has not announced any details about the next BlizzCon. We recommend that players refrain from making any BlizzCon-related travel plans at this time. Update 4:44pm EST: Within a few minutes, the page no longer exists. It has been removed. I took video of my monitor to show you the page, and what happened after I reloaded the page. Will put the video up sometime later. Original Story 4:22pm EST: The Anaheim Convention Center in California has been the official stage in the past years for the Blizzard Entertainment mega-convention known as Blizzcon. Last year the Anaheim Convention Center welcomed over 25,000 players who traveled from all around the world to meet the Blizzard Entertainment developers, play Starcraft II and Diablo III demos, and to hear what the new World of Warcraft expansion [Cataclysm] was all about. A few months ago, there was a massive response to the rumor that BlizzCon 2010 would take place at Las Vegas. The Las Vegas Convention Center quickly responded it had been a misunderstanding and the page should never have gone online, as it was a placeholder that was never confirmed or secured by Blizzard Entertainment. Eldorian (Blizzplanet) has discovered something of interest. 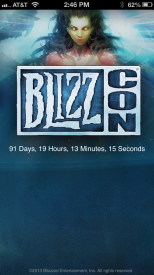 The Anaheim Convention Center had not shown any schedules for Blizzcon on its official website up to this point. 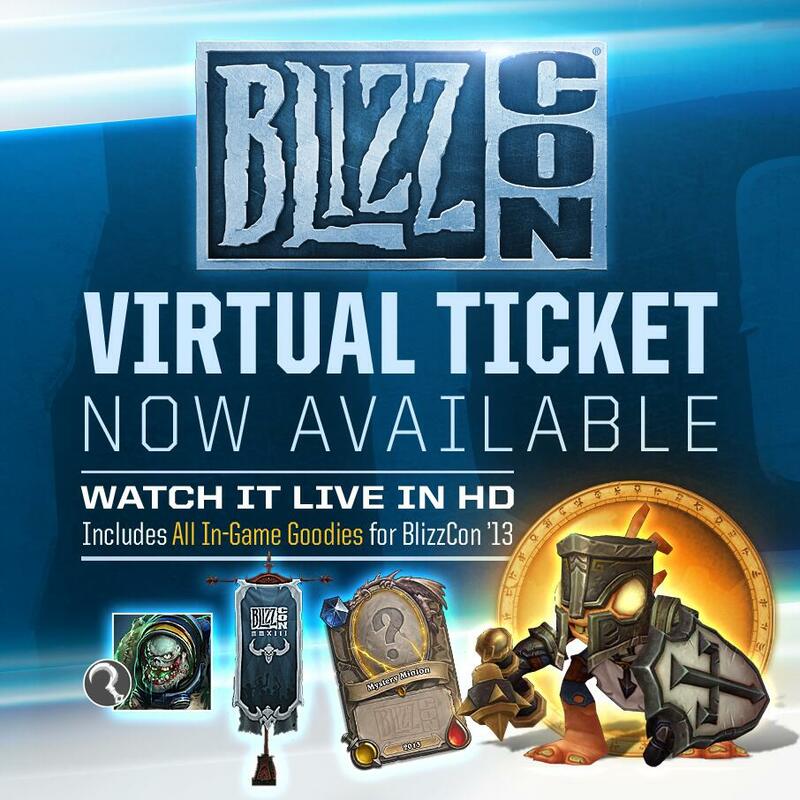 Now the website currently lists Blizzcon to happen on October 22-23, 2010. This however, might not be a final date so don’t jump on your horses with this to book flight and hotel reservations just yet. We will have to wait for an official response from Blizzard Entertainment. There is a chance this is another placeholder or automatic renewal that shouldn’t have appeared online. 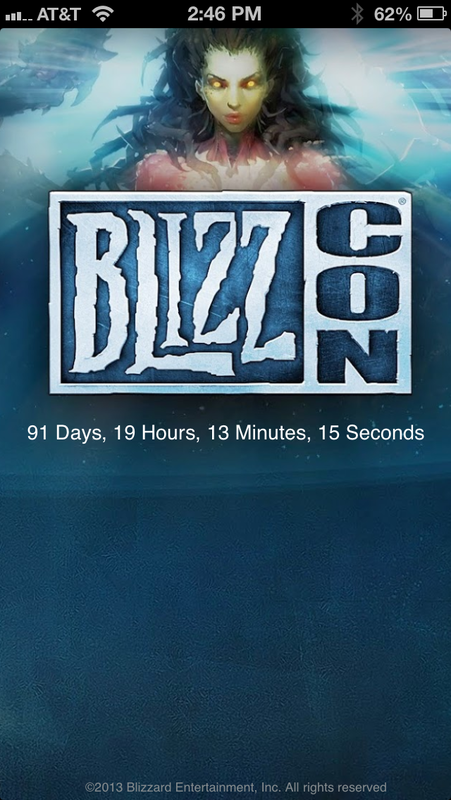 There’s no guarantee that a BlizzCon might be held this year. However, there’s still one more Diablo III Class to be unveiled. There’s no better place to announce this new class than at BlizzCon or at the Blizzard Worldwide Invitationals. None of these events have been confirmed or announced by Blizzard Entertainment as of the time of this post. Starcraft II might be in beta by the time BlizzCon takes place, and the showcasing of World of Warcraft: Cataclysm’s latest demo is a no brainer. 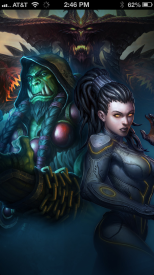 Could there be an announcement of the Next-Gen MMO or the new IP this BlizzCon? Blizzplanet and other fansites listed under their Blizzard Fansites Program (see USA or Europe — Blizzplanet is listed there) have direct contact with the Community Managers, Public Relations and some developers. So we get the scoop pretty fast on things whether we contacting them or they sending us flash news. I want to alert all of our visitors to halt any flight or hotel arrangements provoked by the rumor that BlizzCon would take place at Las Vegas. It has been confirmed to be a rumor. Blizzard Entertainment has not provided any details on the next BlizzCon, so you should leave all your planning for the moment Blizzard makes an official announcement either at the Blizzard.com or BlizzCon.com websites. It would be very saddening to see thousands of players spending in arrangements for something that hasn’t been confirmed or announced officially. 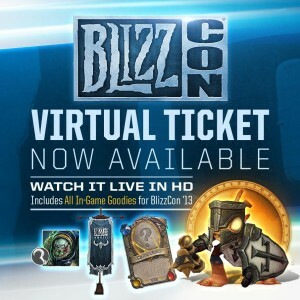 This year over 20,000 Blizzcon tickets were sold in less than 30 seconds. “If you didn’t make it into the queue in those 30 seconds, you didn’t get a ticket.” — said Mike Morhaime a few months ago. For that matter, rumors like this could be devastating pushing thousands of people to arrange flight and hotel right away or to cancel, ever seen how much you get charged for cancelling? ouch. It’s unclear if there was an approach; if the Las Vegas convention administrators accidentally leaked too early — you know dates can change at any time specially rushed this early; or if it was a publicity stunt. Whatever happened here, just ignore it. Blizzard might have other plans for location or date, and it would be too risky to make reservations this early under those nebulous terms. Blizzard always gives fans a four months window in advance to make arrangements after they make the official announcement.